The news that President Barack Obama is considering Vogue editor Anna Wintour for the ambassadorship either to France or England has raised some eyebrows very high. Jake Tapper of ABC News asked White House press secretary Jay Carney if he had seen “The Devil Wears Prada,” the (fictional) film in which Wintour is depicted as the Cruella de Ville of the fashion world. The head of a foreign service group has complained that Obama should be appointing a diplomat, not a fund-raising glamorpuss like Wintour, to the Court of Saint James. The spoilsports take the view that we are talking about a real job for a real person. There is a view that diplomats really mattered before the advent of instantaneous communications, when decisions had to be made on the spot. They certainly mattered a great deal more than they do now. In the early years of the republic, America’s leading statesmen served as ministers, as they were called then, to the great powers. But save for moments of crisis, there actually weren’t very many decisions that needed to be made. I am in the middle of writing a biography of John Quincy Adams, who before serving as Secretary of State and President was the most brilliant American diplomat of his age. But at the Hague and Berlin and later in St. Petersburg, Adams spent most of his time reading newspapers, brushing up his many languages, engaging in learned badinage with his fellow diplomats and writing long letters home to his friends and family members. The endless balls he had to attend left him stupefied. He often pronounced himself bored out of his mind. Adams ended as minister to England immediately after the conclusion of the War of 1812. There the very large American community kept him perpetually distracted, but he had very little important business to transact. Adams was a great diplomat because he was an extraordinarily incisive analyst of European affairs. In those days, before foreign correspondents, the CIA and Congressional junketeering, diplomats kept the President informed about what was happening in the world. Writing from Berlin in the midst of the “quasi-war” with France in 1798, Adams could reassure his father, President Adams, that the French had lost their appetite for hostilities. And then the minister turned back to translating German poetry. See also: Noreen Malone on Anna Wintour's political philosophy. Of course you had to know a great deal about the world, and speak some of its languages, in order to make yourself as useful as Adams did. That is still true in the more troubled outposts of diplomacy. Gerald Feierstein, the current U.S. ambassador to Yemen, functions as a virtual proconsul. Cameron Munter, when he was ambassador to Pakistan, sat in on targeting discussions for drone strikes. Our ambassador to Afghanistan, whoever he is, has to talk President Hamid Karzai off the ceiling. These men are professional diplomats, or in some case soldiers; many of them speak the local language. They serve as the front line of national security strategy. But if you are the ambassador to Paris or London, you are party to very little information not already known to State Department officials, not to mention the local correspondent for the New York Times. You don’t mollify or browbeat the head of state. You go to functions—chamber of commerce meetings, museum openings, diplomatic cocktail parties. You minister to the very large American community, and throw July 4 parties for your compatriots and local elites. You encourage business and cultural ties. And you don’t have to know very much to be good at it. Take Pamela Harriman, Bill Clinton’s first ambassador to France. Harriman qualified for the job by raising $12 million for the Democratic party over the previous decade. Other than that, she was admired as a supremely gifted courtesan, having slept with many of the great men of the previous generation. She had not been able to devote the time she might have liked to the study of trans-Atlantic policy. According to Sally Bedell Smith, Harriman’s biographer, the ambassador “proved adept at carrying straightforward messages back and forth between French and American leaders,” but had to put her political aide on the phone for anything “extra complicated.” She wasn’t permitted to draft cables, since there was, as one of her staff members put it, “no merit in what she says.” But Harriman gave wonderful parties, and spent $15,000 a month of her own on entertaining, and $500,000 to have society decorator Mark Hampton redo the Embassy. She was so busy she couldn’t even find time for a serious affair. The locals took to la grande horizontale—a great French tradition, after all—and President Clinton was said to have been delighted with her performance. Is there something Harriman did that Wintour could not do? Harriman spoke French, though not all that well. I have not been able to determine if Wintour speaks French. This was long considered a minimal requirement for the Paris job, but in 1985 Ronald Reagan appointed Joe Rodgers, a construction magnate who had served as finance chief for Reagan’s re-election campaign but spoke no French. George W. Bush’s envoys were similarly monophone, though they had compensating virtues: Craig Roberts Stapleton was married to a first cousin of the elder President Bush and had an ownership stake in the Texas Rangers. Democrats occupy a more mondain sphere in which it is not unheard-of for very rich and important people to speak French. The Francophone banker Felix Rohatyn succeeded Harriman; Charles Rivkin also speaks French (and has made big campaign donations). On the other hand, Obama’s ambassador to Morocco, Samuel Kaplan, does not speak French (or Arabic). He has aides to do that for him, the way Pamela Harriman had aides write cables. Small countries can’t get away with this sort of thing, but we can. We’re America. 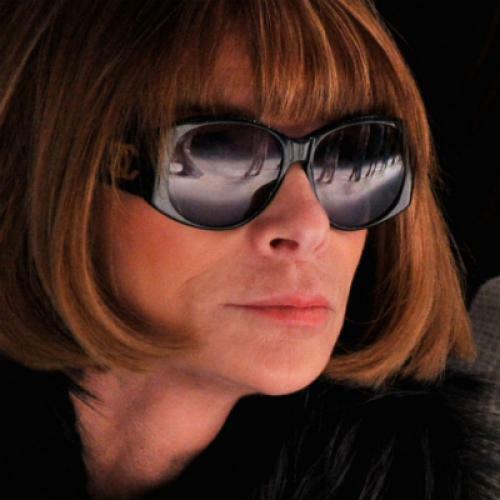 I think Anna Wintour would make a fine ambassador to France. I admit, however, that I’d prefer Bruce Springsteen.